Xandi Mars, Cklass of 2003! First of all, at 1pm, Saffia Widdershins will be talking to Xando Mars of Del Sol Furniture – who, we hasten to say, doesn’t look like this these days! 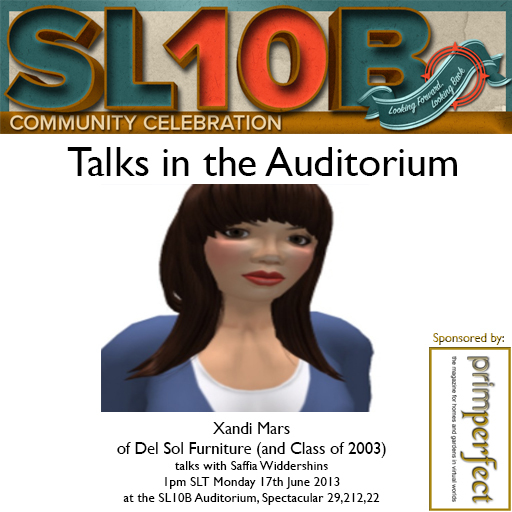 Xandi was one of the earliest users of Second Life, going all the way back to 2003. She’ll be talking about this – and about having been a top furniture designer in Second Life for ten years. Then, at 3pm, in the next in our series of Ekphrasis talks, Rowan Derryth will be talking to the very talented photographer, Whiskey Monday. You can see more details of that here. Callie Cline and Judy Chestnut talk about Breedables! 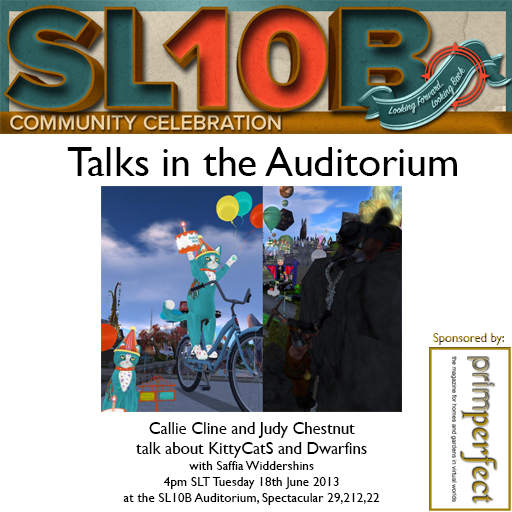 And last for today, at 4pm SLT, Saffia Widdershins will be talking to Callie Cline of KittyCatS! and Judy Chestnut of the Dwarfins about their wonderful breedables. 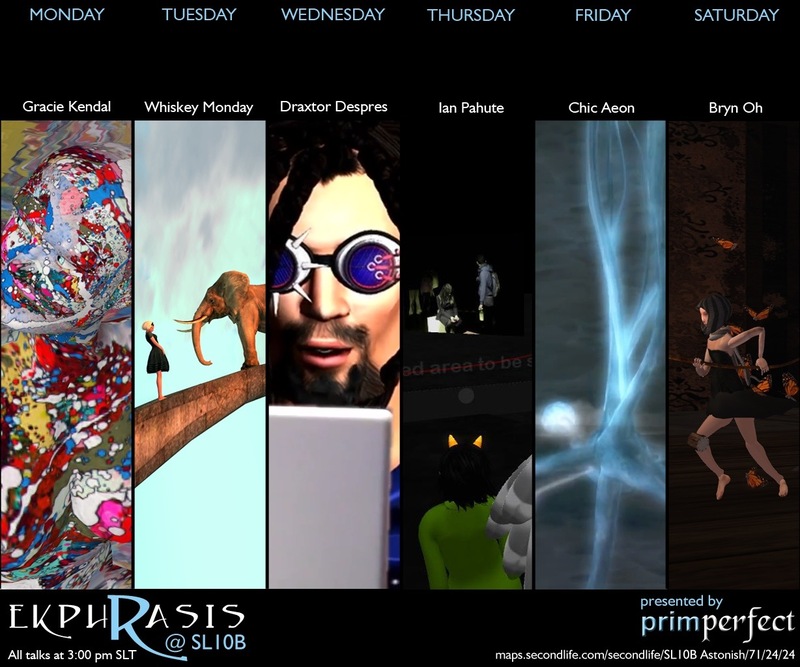 Previous Post: Have you collected your free gifts and voted in the SL10B CC photo contest yet?